The day has its own bright beauty. Morning may bring the possibility of a new beginning, but at night, everything slows down and the world takes on a different mood. Night wears a deeper hue, things become varying shades of blues and purples. It’s a slower form of beauty. Introspective and melancholy. 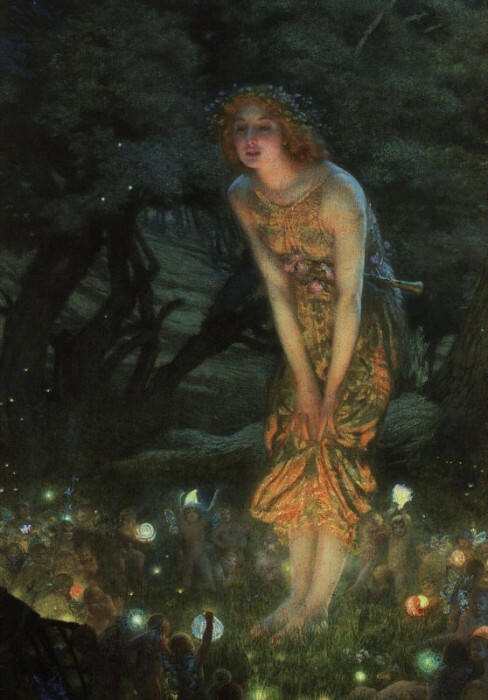 Is it any wonder that some of our greatest tales are adventures of night? 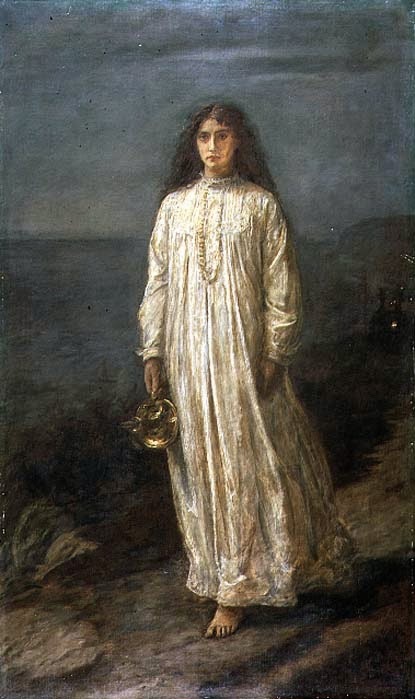 Wilkie Collins’ book The Woman in White would not have been so dramatic had the seemingly spectral woman been encountered on a sunlit road instead of a moonlit one. No ghost worth his salt appears in a ghost story that is set mainly in daytime. Night is when the magic happens. The secrets, the indulgence, the dreams. There is an added depth to that dark midnight sky and it holds something tempting for us. 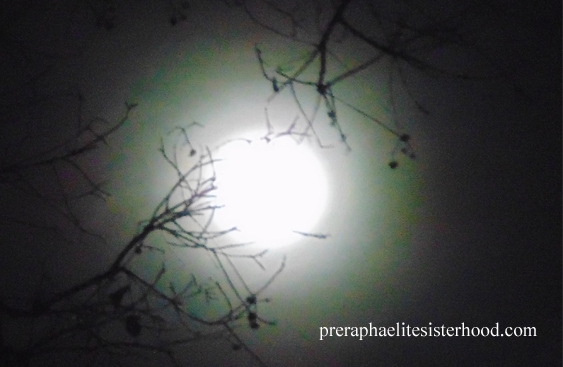 It is no coincidence that insane behavior, lunacy, is named for our sole source of light at night. Does the lunar pull tug our senses as it does the tides? From an early age, we are taught how special night is, from Twinkle Twinkle Little Star to Goodnight, Moon. That magic stays with us, but it appeals to some of us more than others. 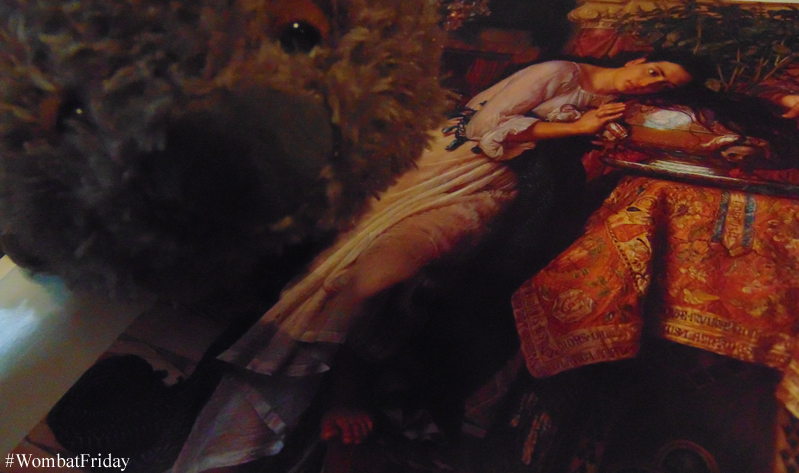 Like Scheherazade, some of us spin our tales at night. The moon feeds us, the stars become inspirations. No need to wish on them, the power of intent is all your own. 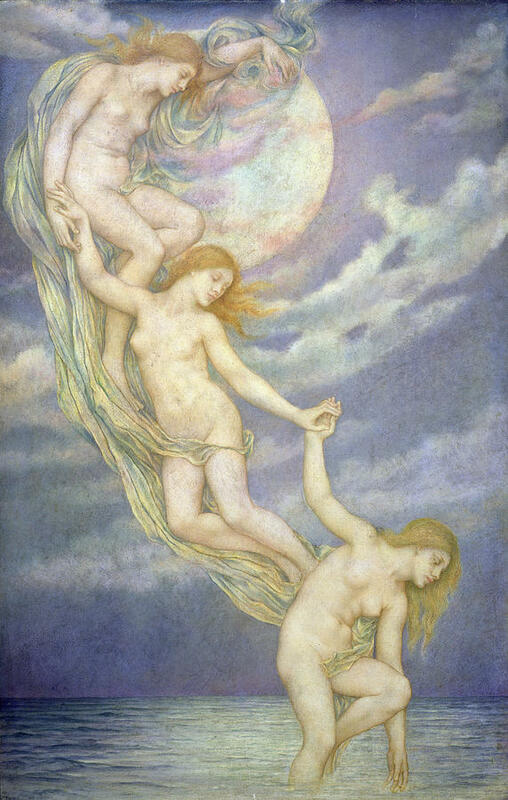 Evelyn De Morgan depicts moonbeams as feminine. 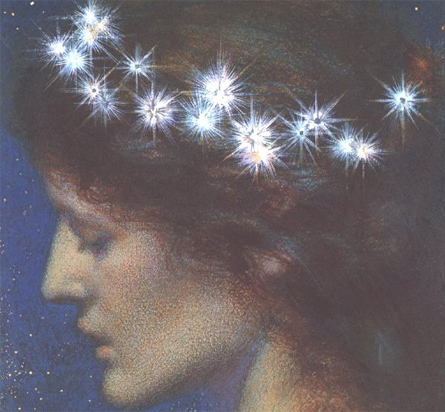 Their mystique is undeniable, their beauty is the very essence of Pre-Raphaelite. 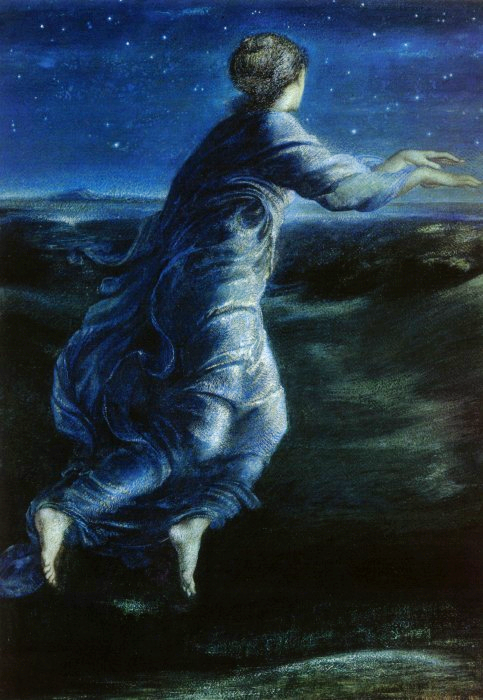 Whistler was not a Pre-Raphaelite, but his work is worth sharing in this post. He understood the beauty of night. 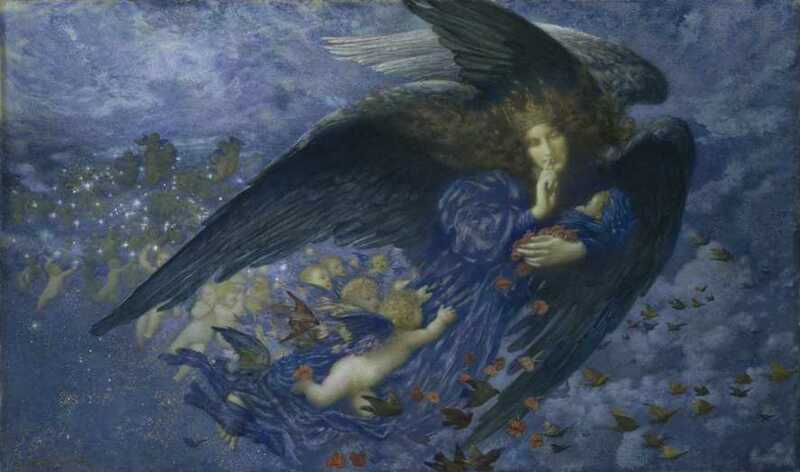 He coined the term Nocturne paintings to describe works that are evocative of night. Often he paired his works with musically themes title, such as harmony, arrangement, or symphony. Over a hundred years later, Pre-Raphaelite collector Sir Andrew Lloyd Webber would compose Music of the Night for The Phantom of the Opera. 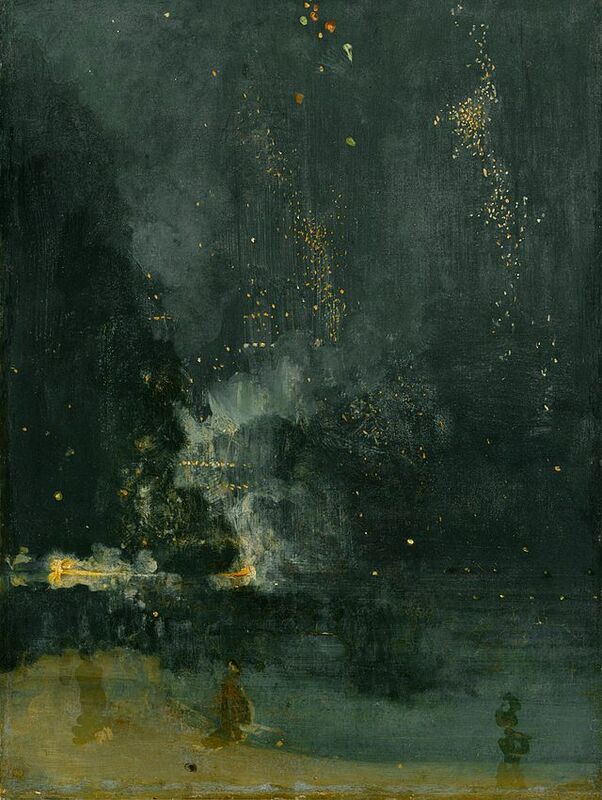 I think the lyrics would resonate with Whistler and his love of Nocturnes. (Copyright Sir Andrew Lloyd Webber, EMI Music Publishing, Sony/ATV Music Publishing LLC, Warner/Chappell Music, Inc., Universal Music Publishing Group, Kobalt Music Publishing Ltd.
Music of the Night – the lyrics were by the young lyricist, Charles Hart. 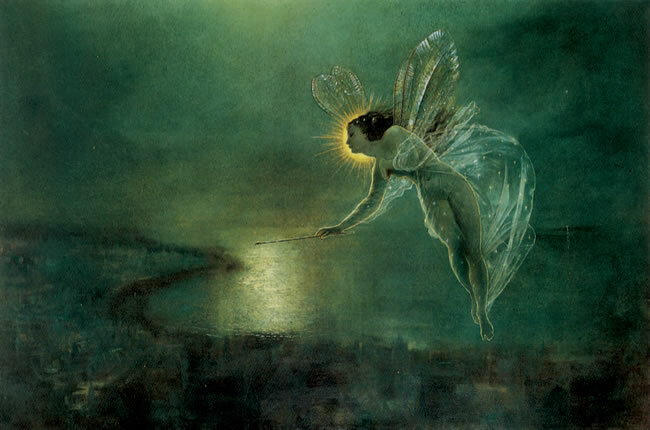 I love the Somnambulist painting – quite creepy!